I have a quick encouragement card to share today. 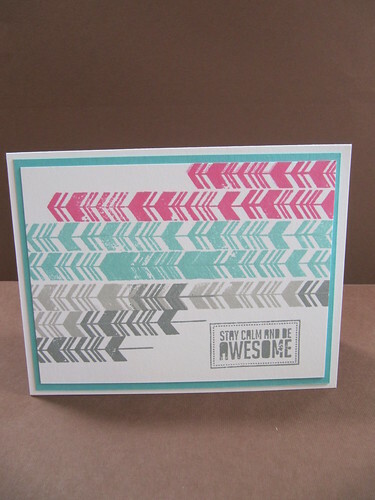 It is a one layer card with lots of stamping. I used the stamp set Show and Tell by Stampin' Up. The ink colors all come from Lawn Fawn. I love how smooth their inks are. They have a great selection of colors too.